The perfect companion to carrying your favourite bottle of wine, decorated with your logo. 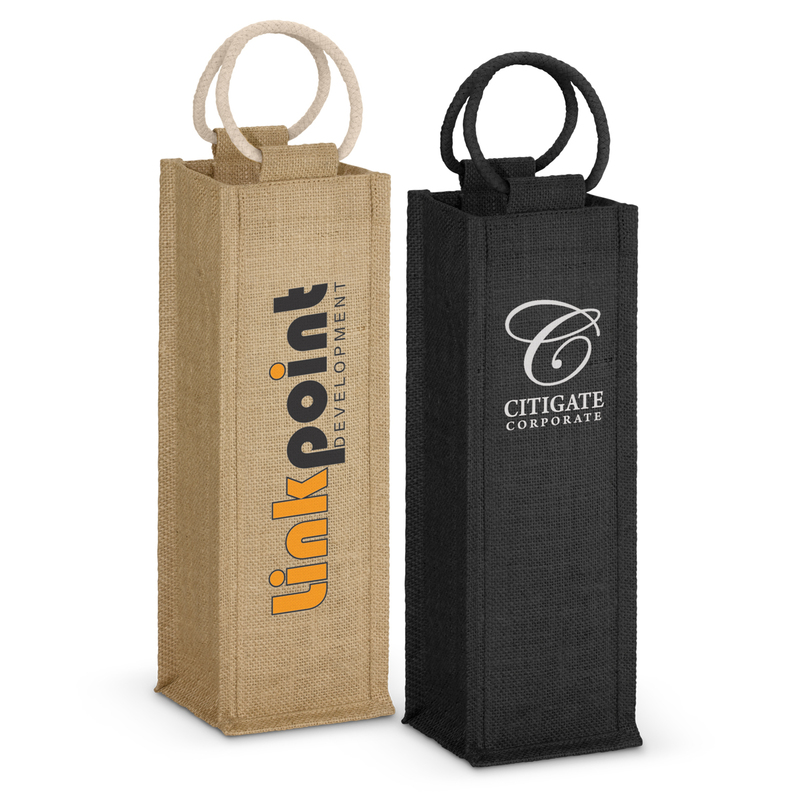 A brilliant single bottle wine carry bag that features your logo printed on the front. The bag is made from environmentally friendly laminated natural jute with unbleached woven cotton handles. Your choice of either natural or black, this colour style will compliment most logos. These are the stylish way to transport your wine! 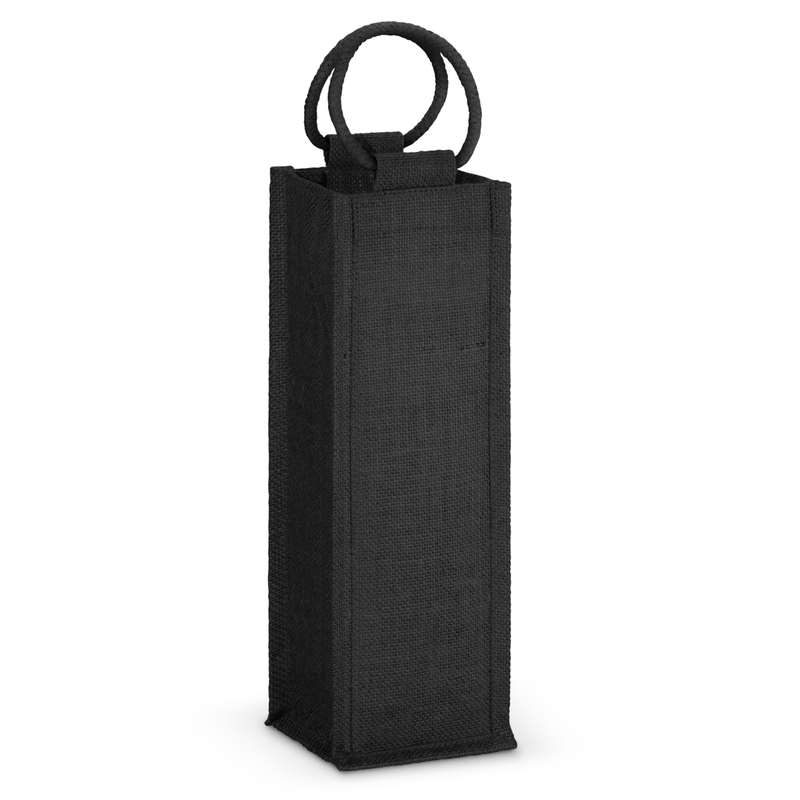 Dimensions H 350mm x W 115mm x Gusset 105mm (excludes handles). Handle Length: 260mm.